I think it could be a good start point to list my beloved Synths and other electronic stuff. The DX-100 was (and still is) my first synth ever, i bought it for 150 euro 15 years ago in a small music store. As vintagesynth says " it is a small and portable budget DX synthesizer from Yamaha. Like all DX's it uses (FM) Frequency Modulation synthesis. It's not the easiest form of synthesis to program but can result in some excellent sounds. The DX100 is not as flexible nor powerful as a DX7, but it does have some cool sounds. It is most renowned for its great analog bass sound (Patch #01) that is awesome for techno, house, jungle, and acid music styles ". It appears that this "patch #01 bass" was used in the Snap's hit "the power" (as told me a man who want to sell it 1500 euro !! ). I don't use it these days because FM synthesis is very time wasting and virtual emulation sounds almost better. 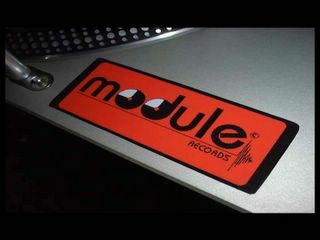 my name is Stanley meyerson and i manage with David Smyle a new electronic music label named Module-records. You will find here posts about the label and electronic music.